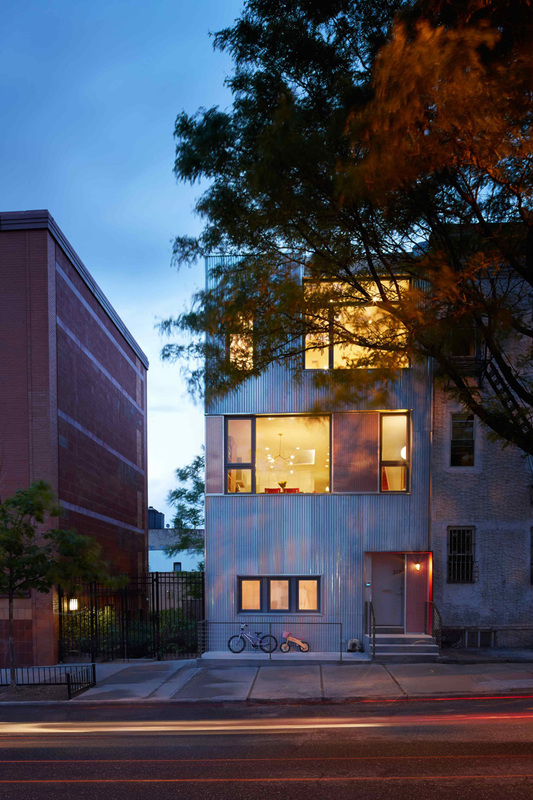 Etelamaki Architecture have sent us photos of the South Slope Townhouse, a renovation project they completed in Brooklyn, New York. 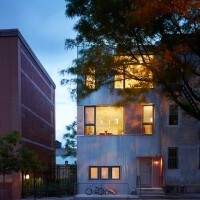 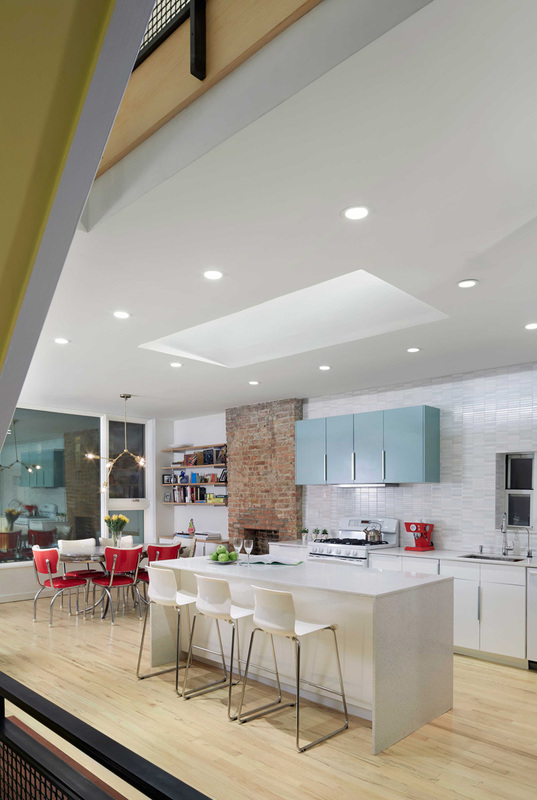 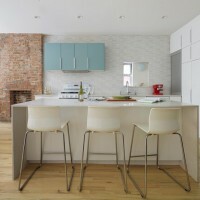 Situated at the edge of ever-expanding gentrified Brooklyn in South Park Slope, this renovation maximizes the potential of a non-descript building shell, and limited budget, to create a modern, light filled home that acknowledges the building’s past, while envisioning the neighborhood’s future. 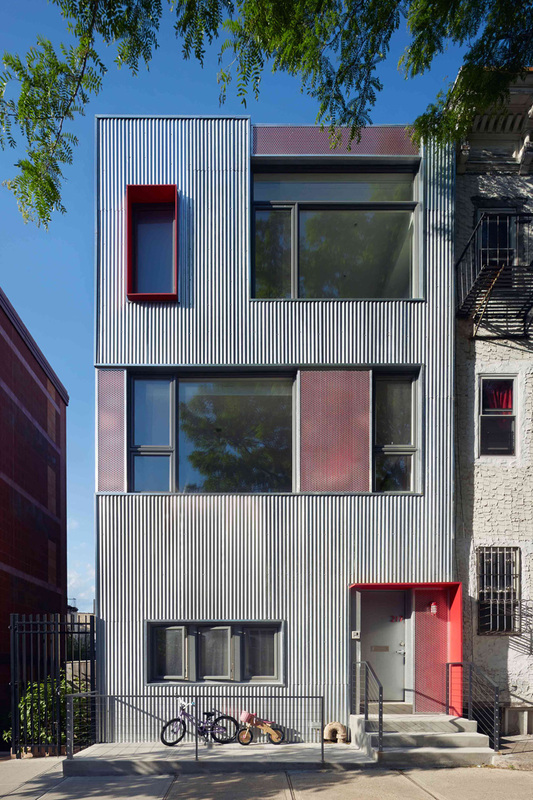 The top two floors of a three story building were converted to an owner’s duplex, with a rental on the ground floor, and an existing fire escape was removed from the facade. 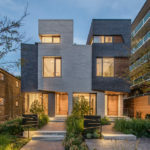 The home is located on an eclectic block consisting of early 1900s multi-family buildings of similar or smaller size, mixed with several recently constructed larger condominium buildings. 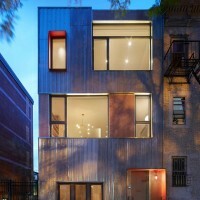 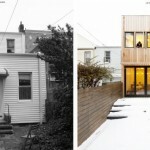 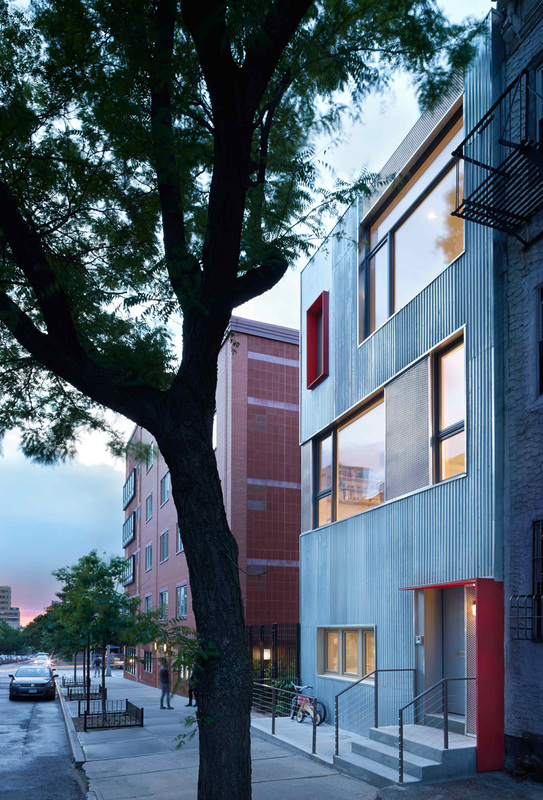 The lack in uniformity on the block presented an opportunity for a bold facade design. 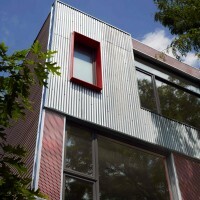 Traces of the original facade are retained in the rhythm of the window placement, and in the geometry of the exterior cladding materials. 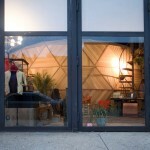 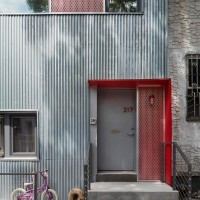 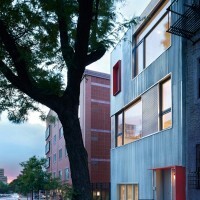 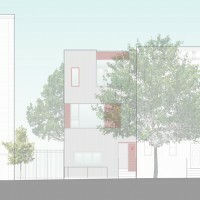 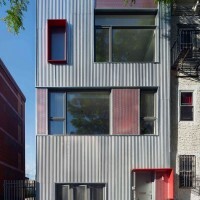 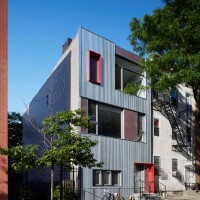 The primary cladding material-corrugated galvanized steel-was selected to blend in to the gritty, eclectic architecture adjacent to the site, as well as for its affordability. 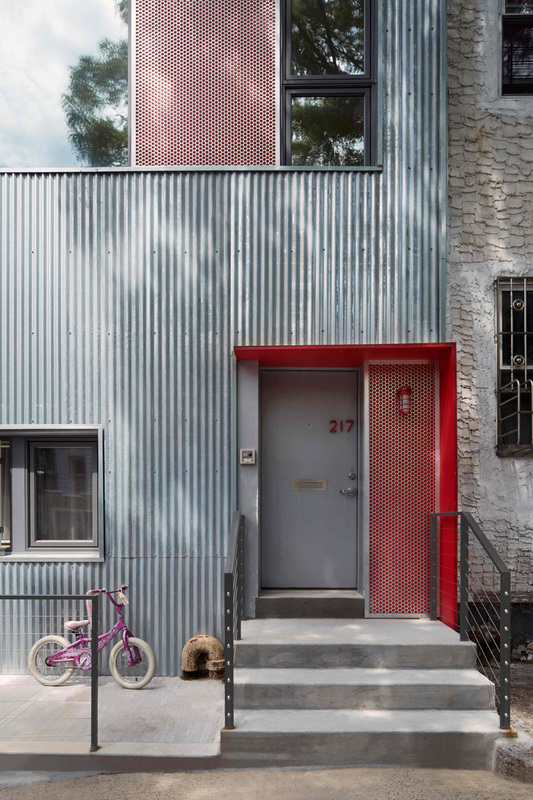 Framed accent panels of perforated aluminum installed in front of painted red panels provide complexity and balance to the facade. 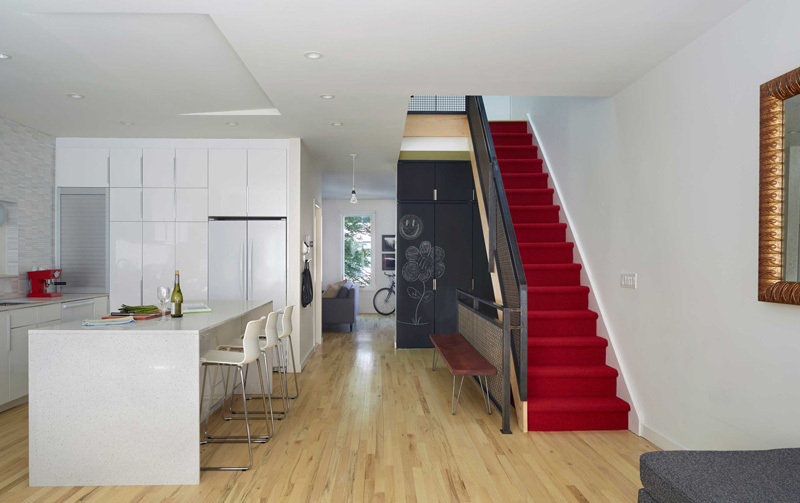 Red accents were used to frame the entry canopy and the frosted glass window in the Master Bathroom shower. 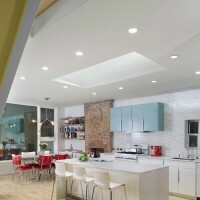 The Interior spaces equally emphasize traces of the original structure. 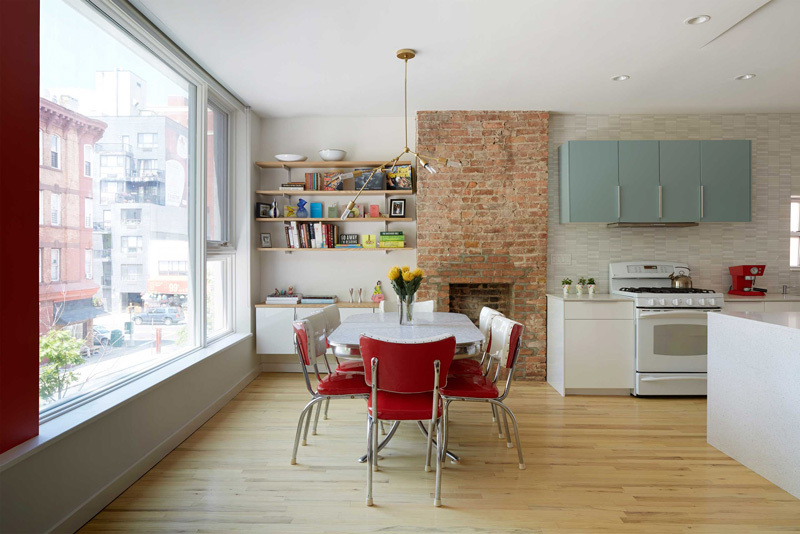 An existing brick chimney breast became the organizing element for the primary living space on the lower level of the owner’s duplex, as well as the Master Bathroom on the top floor. 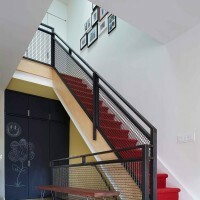 A stair up from the ground floor enters into the center of the main living floor of an owner’s duplex. 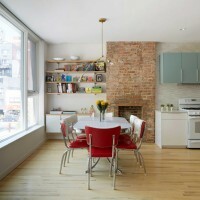 This floor consists of an open family space at the front, comprised of a kitchen, dining and small seating area. 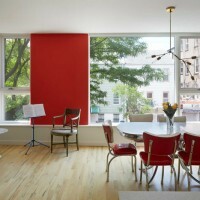 This space acts as the primary gathering space for the young family of four-cooking, eating, practicing music, the chaos of the morning routine, etc. 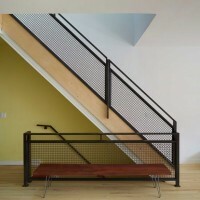 The rear portion of the floor is another separate, but singular space dedicated to more quiet, private activity, and includes a work space and area for watching TV. 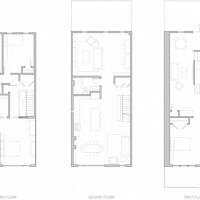 The two areas are separated by a closet and bathroom. 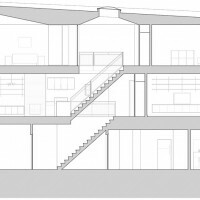 The second floor consists of two bedrooms at the rear of the house with a shared bathroom, and the Master Suite at the front. 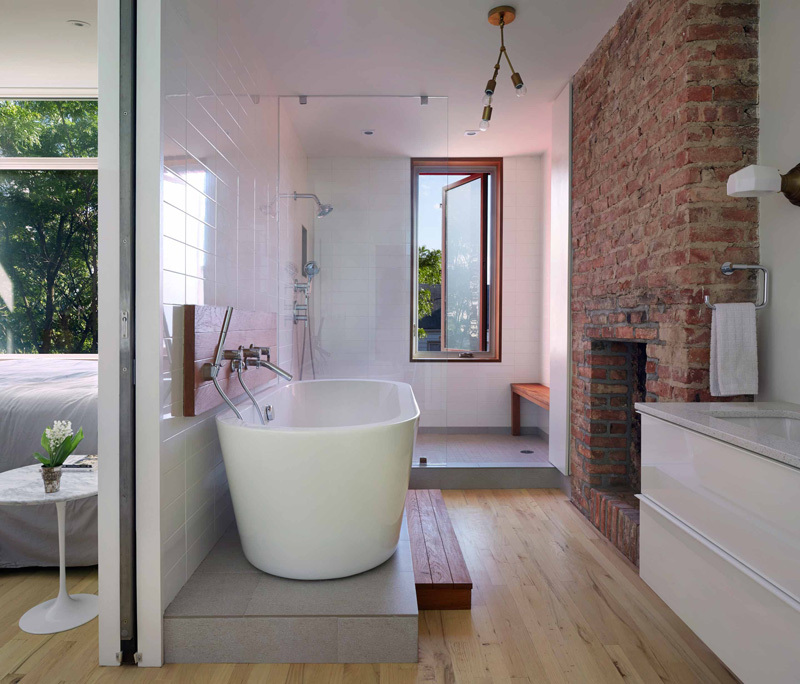 The oversized opening between the Master Bedroom and Master Bedroom can be divided by a custom steel and glass pocket door which, when completely open, blurs the separation between the two spaces. 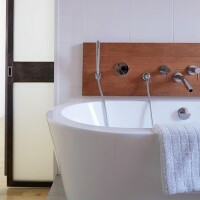 The toilet is contained in a separate, private compartment, allowing the other functions of the bathroom to become more a part of the bedroom itself. 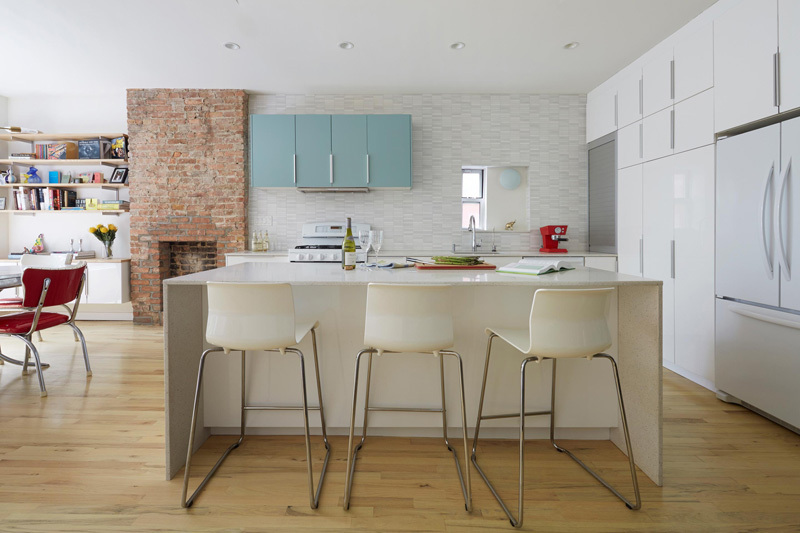 Off the shelf materials, cabinets, and fixtures are complemented by inexpensive custom materials to create a complex, dynamic space, on a limited budget.